Venturing into the Californian wild is not a rarity for furniture designer, artist and FvF guest Sean Woolsey who adheres to his “stay wild and free” motto by embarking on frequent travels and road trips. This time he takes us along, from Costa Mesa to Big Sur and San Francisco. Road trips are a quintessential American institution. Since the notion took shape in the late 1930s, it has ushered a nation to move in search of escape and exploration—both physical and mental. Often associated with endless highways, mold-made diners and billboards heralding messages in desolate areas, road trip stories have been told countless times but somehow never lose their magnetism. Films, rites of passage and great pieces of writing have all fed an idealized aura that’s difficult to shake off. A symbol of freedom as merely a car and a driver’s license can take you across the entirety of a continent, chasing after Kerouacian dreams. The American highway has long been the muse of artists and writers alike who’ve celebrated the absence of a destination and the importance of the in-between. Seeking inspiration was also Sean’s main reason for this trip, as well as clearing his head amidst nature’s assertive power. On the spur of the moment, he decided to go on a journey along the Californian coast with his friend and photographer Lonnie Webb. Desirous of everything that the region’s landscape promises—cliffs, waves and wilderness—they begun their trip having the sea always by their side. For Sean, traveling is about staying motivated and making his story in life as wild and fun as possible. Leaving the site, past the hills, they came to Big Sur on the next day. “This is one of my favorite places in the world. In my opinion, the area is one of the most rugged and beautiful 90 miles of coast in the US.” At one of the creek sites in Limekiln State park, they set camp and caught the sunset at the cove. “We hiked up to the old kiln, where limestone was harvested in the late 1800s for cement constructions in San Francisco and Monterey.” After that, they reached for a nourishing breakfast dish at Deetjens, followed by some ping-pong and book perusing at the Henry Miller Library. As they reached the destination of their journey, Sean and Lonnie stayed at a friend’s house in San Francisco for their last night. After some drinks, good food in the city and beds to sleep in, they had to finally head south for home. 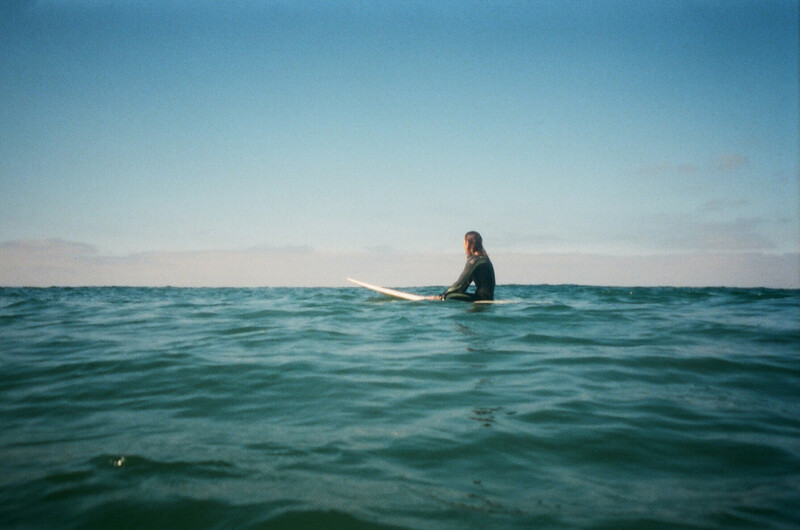 Thanks Sean and Lonnie for sharing your Californian getaway with us–it triggered our hunger for traveling, yet again. Be sure to have a look at Sean’s old-school wooden cruiser deck, exclusively handcrafted for Freunde von Freunden. Read more about our approach to contemporary traveling during an interesting evening of sharing ideas.